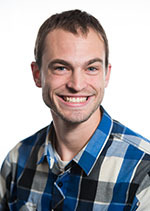 Jonathan Whiting is a researcher for the Coastal Sciences Division of Pacific Northwest National Laboratory, located in the Seattle office. A civil engineer by training, Jonathan provides a blend of analytical thinking and an outgoing personality that has provided numerous opportunities while at PNNL. He has supported a varied portfolio of projects related to wind and marine renewable energy and environmental effects, numerical modeling for ecological restoration, oil spill trajectory modeling, and carbon storage monitoring. These experiences have fostered a skillset centered around data analysis and management, including risk-based analyses, GIS mapping, visual analytics, coding, and web development. Progressing the marine renewable energy industry in an environmentally sustainable manner. Performing coastal and ocean modeling to assess potential environmental effects from anthropogenic activities. Analyzing data and effectively synthesizing results. Whiting J.M., T. Wang, and T.P. Khangaonkar. 2017. Hydrodynamic Model Development and Application for Restoration Alternatives Assessment - Skagit Delta Hydrodynamic Modeling Project (SHDM). PNNL-26867. Richland, WA: Pacific Northwest National Laboratory. Whiting J.M., and T. Khangaonkar. 2015. Hydrodynamic Modeling Analysis for Leque Island and zis a ba Restoration Feasibility Study. PNNL-24023. Richland, WA: Pacific Northwest National Laboratory. Hanna L.A., J.M. Whiting, and A.E. Copping. 2013. Visual Modeling for Aqua Ventus I off Monhegan Island, ME. PNNL-22982. Richland, WA: Pacific Northwest National Laboratory. Hanna L.A., R.S. Butner, J.M. Whiting, and A.E. Copping. 2013. Tethys and Annex IV Progress Report for FY 2012. PNNL-21865 Tethys. Richland, WA: Pacific Northwest National Laboratory. Whiting J.M., L.A. Hanna, N.L. DeChello, and A.E. Copping. 2013. Acoustic Modeling for Aqua Ventus I off Monhegan Island, ME. PNNL-22926. Richland, WA: Pacific Northwest National Laboratory. Copping A.E., L.A. Hanna, R.S. Butner, T.J. Carlson, M.B. Halvorsen, C.A. Duberstein, and S. Matzner, et al. 2012. Environmental Effects of Offshore Wind Development. Fiscal Year 2012 Progress Report. PNNL-21852. Richland, WA: Pacific Northwest National Laboratory.